Expedia Inc. is actually a company that deals with anything and everything to do with travel logistics, from hotel reservations to booking tickets, and every other travel-related concern there possibly is. It is based in Washington, and was founded by Microsoft in the year 1995. In 2001 it was sold to InterActivCorp. The website which carries its name (expedia.com) aims to help out travelers in organizing and planning out which hotel to stay in, or what time to fly, and more.Orbitz Worldwide, the owner of Orbtiz.com, has been around since 2001. It originally started off with its main focus on airlines, but eventually evolved and expanded into answering other travel concerns. Today, Travelport—one of the world’s biggest, most active travel corporations—is its biggest investor. These two websites make use of the connection between new media and the world of technology in making contributions to expand and allow for improvements in the travel business. There are several other websites such as these two that help travelers find the perfect spots to take some time off, book flights, find good accommodation and other amenities that travelers need or want. The truth is Orbitz and Expedia are heavily advertised via several mediums and are famous due to ads and repeat business of happy customers. When it comes to website interfaces, Orbitz.com falls slightly short of expectation as its interface is a bit dreary and less interactive than that of Expedia.com. Expedia.com is an award-winning website, garnering recognition for being the best travel website there is, only proving its place as one of, if not the world’s, leading travel agency on the Internet. Although Orbitz.com may not compare to such service, it is still able to lend a pretty much helpful hand to potential travelers because it has an extremely fast and reliable search engine that makes searching for places, rentals and airports a lot easier and faster. In a survey conducted in the year 2005, Expedia.com garnered the most consumers with over 18.7 million, with Orbtiz.com following in a close second 17.7 million. Expedia.com bears the name of the well-known travel company, Expedia. 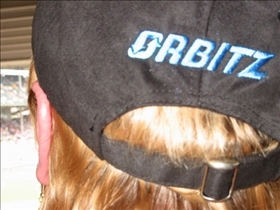 Orbitz originally specialized in only airline travel, while Expedia was all-around. Expedia.com ranks as the top online travel agency with the highest number of consumers, Orbitz.com comes in second. Which travel website is the best? Don't buy the insurance policy that Expedia sells. It doesn't cover a change of plans, weather etc. only a medical emergency. One agent said that a check would be sent to the traveler not me (who paid for the ticket). Years of using Expedia ruined by arrogance, indifference and incompetence. Orbitz, Travelocity, Kayak, CheapFares, etc. are polite and service oriented. before you book a reservation read each rules and restrictions. Don't blame agents or the company for having them. Blame yourself for not understanding the business.